Looking for an apocalyptic disguise? 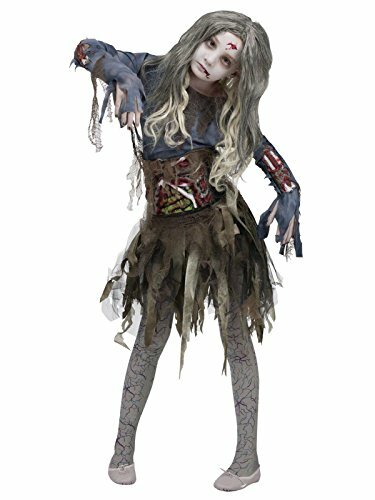 Try Smiffy's Zombie School Girl Costume on for size! 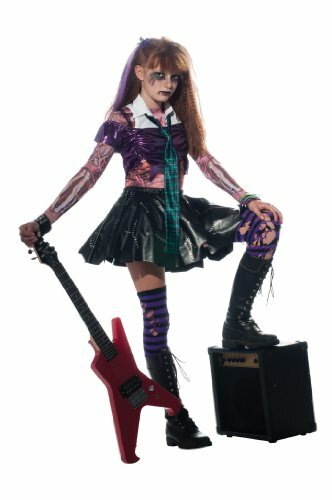 Costume includes skirt, jacket, mock shirt and tie. 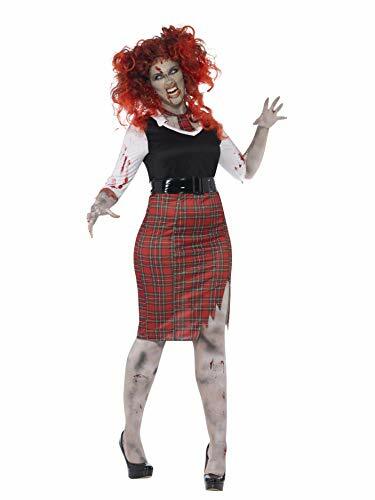 This zombie schoolgirl costume includes a grey jacket with attached shirt, plaid skirt and tie. 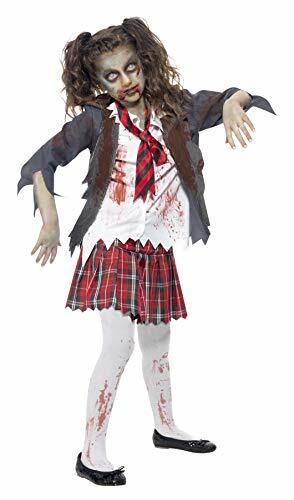 This zombie schoolgirl costume comes in adult sizes Small, Large, Medium. 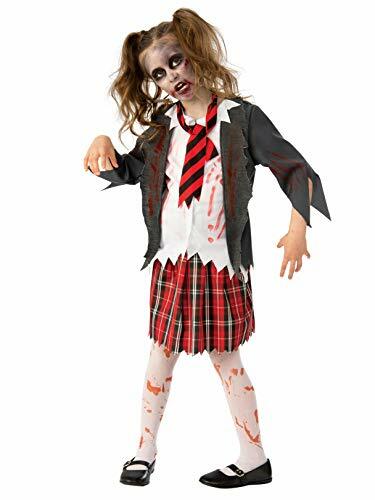 The blood stained stockings, wig & make-up are sold separately from this zombie schoolgirl costume.